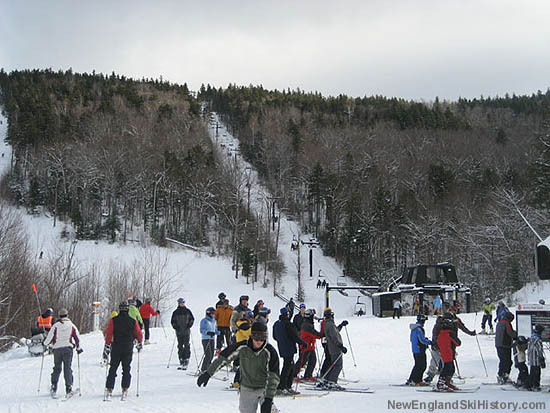 As Sunday River continued its rapid expansion, it looked to move northward. 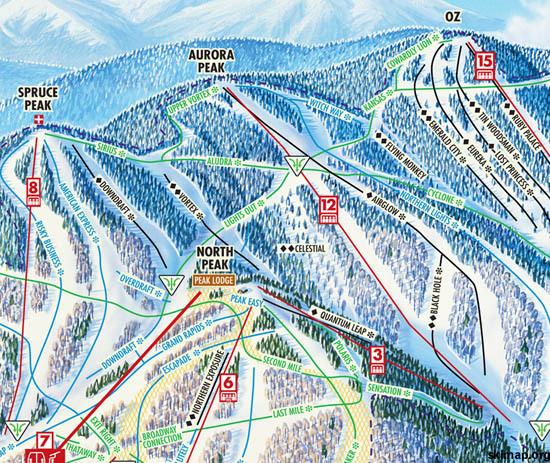 The first step toward connecting to the future site of the Jordan Grand Summit Hotel was to open Aurora Peak. 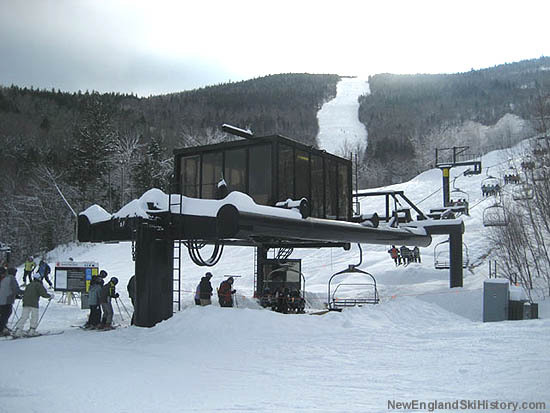 The new peak would add nearly 100 vertical feet to Sunday River's overall numbers in 1991, though the new Yan fixed grip quad on the peak would only climb 1,095 vertical feet. 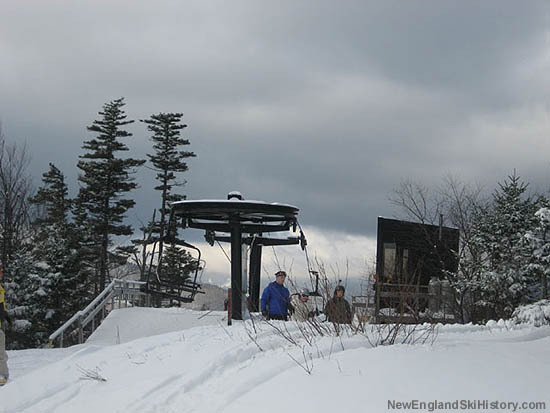 Eight trails were added to the count, generally intermediate to expert in nature. 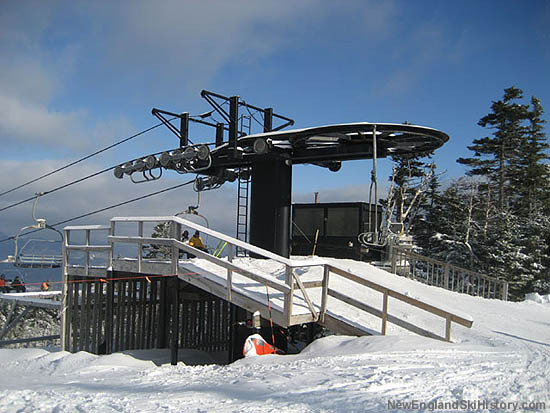 The following year, the Quantum Leap triple chairlift was cobbled together with Hall and Borvig parts, installed as a second way to get from the Aurora base area back to the rest of Sunday River. 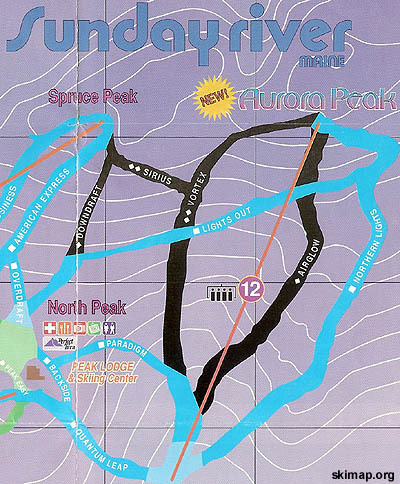 As the ski area continued to expand northward, crossovers were cut and/or re-rated across the Aurora Peak area, allowing novices to ski some of the terrain.